Do you want to use WPForms to add users to your Constant Contact mailing lists? With the Constant Contact integration, you can allow users to join your subscriber lists by submitting a form. In this article, we’ll show you how visitors to your site can be added your Constant Contact mailing lists via a newsletter signup form. Before we get started, you’ll need to install and activate WPForms on your WordPress site. Also, if you don’t already have a Constant Contact account, be sure to create one here. 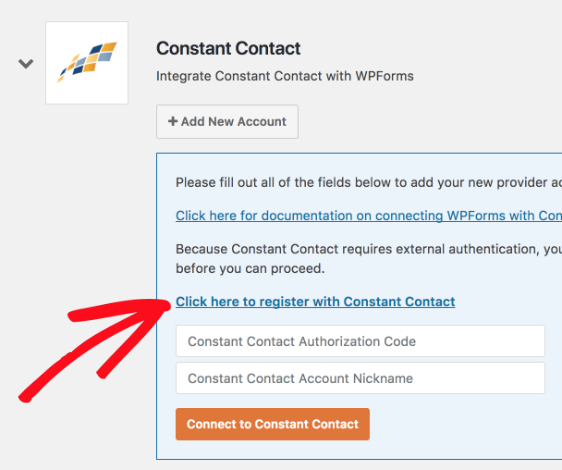 Once that’s been set up, you can go to your site’s admin area and navigate to WPForms » Settings to begin the configuration for Constant Contact. In the Settings page, click on the Integrations tab. In this tab, click on the Constant Contact section to open it. Here you’ll need to click on the Add New Account button. In the options displayed, you’ll need to register WPForms with Constant Contact by clicking on Click here to register with Constant Contact. After clicking the link, an overlay will appear for you to log into your Constant Contact account. 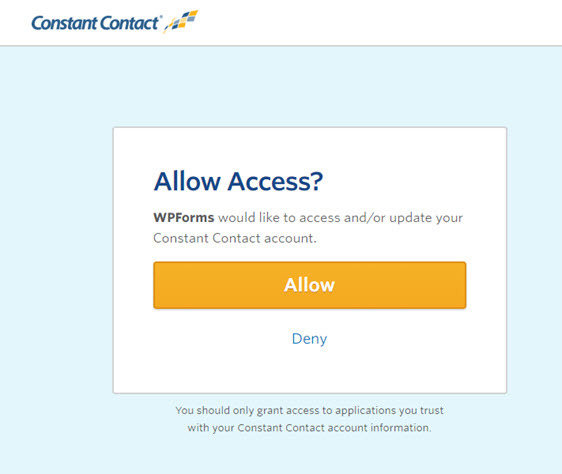 When you’re logged in, click the Allow button to allow access for WPForms. Next, you’ll see the Constant Contact authorization code. 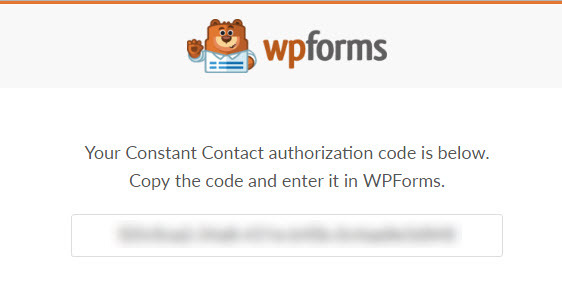 With this, you’ll need to copy the code into the Constant Contact Authorization Code field back in the Settings page of WPForms. For the Constant Contact Account Nickname field, you can use any name since it’s just for your internal reference. When you’ve filled up both fields, click the Connect to Constant Contact button to continue. 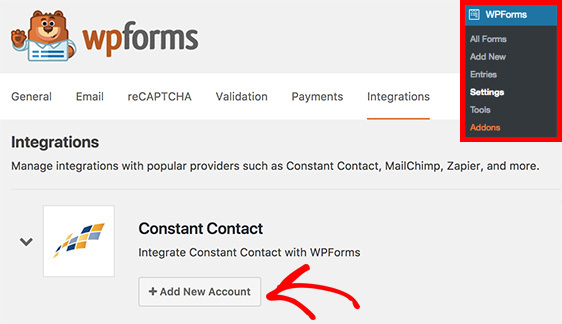 Once WPForms is done connecting your site to your Constant Contact account, a green box indicating Connected will be displayed. To create your Constant Contact newsletter subscription form, you can add a new form or edit an existing form. 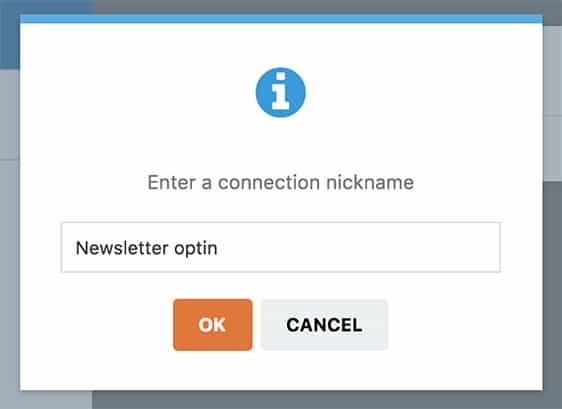 In our example, we’ll create a new form using the Newsletter Signup Form template. Next, we’ll need to connect the form to a Constant Contact account. 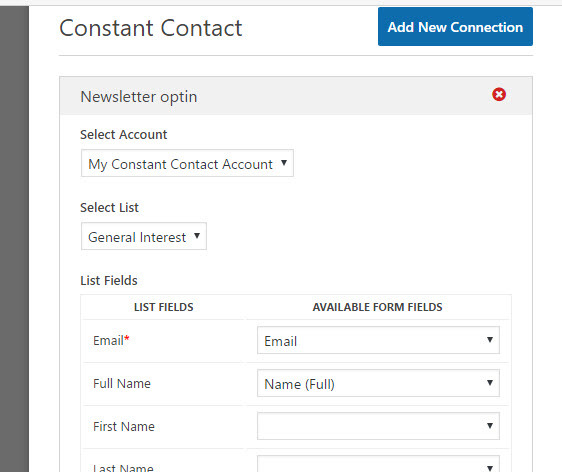 In your form builder, go to Marketing » Constant Contact and select Add New Connection. This will cause an overlay to appear, and here you can enter a nickname for the connection you’re creating. This is useful if you plan to connect this form to more than one mailing list. However, it’s simply to help with organization and your users will never see it. Once a connection is created, you can choose from any Constant Contact account you’ve connected in the first step. After the account you want is selected, you can also choose a specific mailing list within that account. Note: All Constant Contact mailing lists must be created in your Constant Contact account. For more details, check out Constant Contact’s tutorial on getting started with lists. Under the List Fields section, you’ll see all of the available fields for subscriber information to be added to your Constant Contact mailing lists. The only field you’re required to fill in is Email Address. To send additional entry fields to Constant Contact, you’ll need to map your form fields to the relevant fields available in Constant Contact. If you’d like to add users to your Constant Contact list based on their selections on your form, you can check out our tutorial on how to add a Constant Contact signup checkbox. Once you’re done configuring the form settings, click Save to continue. That’s it! You’ve successfully created a newsletter signup form with Constant Contact. Next, would you like to add extra protection against spam for your forms? Check out our tutorial on how to add reCAPTCHA to your forms.